Having a good guide is essential in order to move in the right direction and achieve your goals. But finding out a good mentor is quite a challenging task. In the past, people were more principled and performed better because they were shown the right path by their mentor. Regarding someone as a mentor is not about idolizing someone who has a high profile job or a platform that you would want to possess. Look for a person whom you want to follow and who, in many ways is like you. It will be easier for you to emulate someone who has similar strengths and skills that you possess. You will need to spend some time to look for the right person whom you can follow. 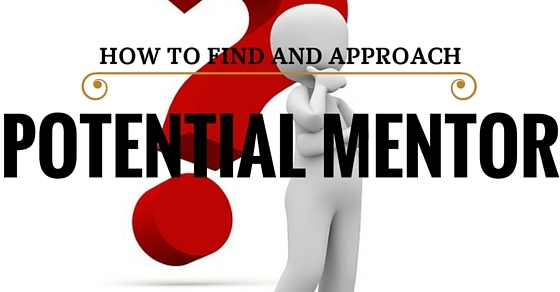 In fact, make it a point to observe a number of candidates before you select the right mentor to guide you. Before you approach any person to be your mentor, you need to know the person well. Therefore, study the people whom you shortlist as candidates for mentorship. Get in touch with people who know him well. If you are not familiar with the person, find out whether his nature matches the public persona his associates have told you about. Observe the strengths and weaknesses of the person well. This will help you to set your expectations in a realistic manner. Therefore, you need to establish relations with people who are close to him to know the person in a better manner. Don’t ask the person in a straightforward manner as to whether he would like to be your mentor or not; that is a big responsibility. It is a very big task to talk about at the first meeting. Instead, when you meet the person for the first time, keep things a bit informal. Spend some time over a cup of coffee. Keep the meeting less than an hour. Ask the questions which you have thought about. But let the flow of conversation going on rationally. If you are in doubt when to ask, just ask the person. After the initial meeting, think whether you would like to spend more time or not. Did the person start with some questions, or did he or she just provide answers? Did the person say anything about what you should do? Also, evaluate as to whether you felt better after the meeting or not. If you have been able to make the connection, then it’s fine. If you didn’t, then feel free to let it pass and look for someone else. There is no need to waste your time on a dominating tyrant. If everything went well, then you will need to start thinking about a follow-up plan. There is nothing unnatural in meeting someone. It is natural if you appear too ambitious. It will make it clear to the other person that you are serious. Following up is essential. You need to thank for a prospective mentor for spending some valuable time with you. One workable way to approach the person is through email. You can also go for other types of passive communication. This will make sure that you don’t appear as too arrogant or waste his or her time. Make sure to mention that you would like to meet again. If the person reciprocates, ask him or her to meet again. Make sure that both of you feel relaxed. Both you as well as your prospective mentor will be screening each other at this point. Sometimes, people end up putting too many expectations from their prospective mentors. They want to give it a name since it offers them with a feeling of importance. But in real life, it’s only a relationship. Mentoring is something which is organic. Therefore, it’s wise to let it evolve as in the case of any other relationship based on trust and respect. Don’t try to force it on the other person. It will destroy the possible mentoring relationship quickly. Instead, give it time to grow gradually to maturity. This is a major problem that many people face. There are often circumstances when people leave when they are challenged by their mentors. This is something which is bound to happen at some point where your mentor will call you out. Keep one thing in mind, this is the reason why you sought for mentorship. So don’t give up like a wimp when faced with a tough situation. This is the period which is going to decide your future in the right or wrong path. Don’t wait for your mentor to take initiatives. Rather try to manage things on your own. Ask for more rather than demanding it. It won’t bother your mentor but rather honor him. It won’t be a big deal to ask him to meet over lunch or coffee. A good mentor will be more of a friend. Therefore, look for ways to strengthen the bond with your mentor. Feedbacks can be bad, but they can help in your growth. As the relationship between you and your mentor grows, this will be a way for your growth. The feedback will be a major highlight both for you and your mentor. Though asking for a feedback may make you and your mentor uncomfortable initially, as time passes, it will become your second nature. You will become eager to hear those words which you fear at present. A good mentor will treat you with great care and consideration and help you get over drawbacks. Therefore, ask for the person’s feedback from time to time. You cannot be mentored within a short span of time. It will be a time taking the process as you learn and adapt to new things under your mentor’s guidance. To make sure that it is a real mentorship, you will need to stay committed to the relationship. Come what may, you will need to be prepared to make it work. Thereafter, you will start understanding what it means to be a student, pupil or protégé. The relationship between you and your mentor will become stronger than ever before. There are many benefits of having a good mentor. That is probably the reason why most school teachers and guides emphasize on having a mentor. These benefits help you grow into the right personality. Strong and good morale is often the result of a disciplined and principled life. This is the kind of life you lead under the guidance of a good mentor. Under his guidance, a person is able to understand the right from the wrong. He is able to abstain from wrong doings for attaining selfish personal goals. A strong character takes you a long way in your career and helps you ascend the success ladder easily. The world is a crazy place and the people today tend to forget the right and wrong in the battle for success. Principles do not seem to matter anymore to people with a poor conscience. A good mentor will help a child or a student understand that a goal achieved by harming others can never be called success. This will help the student develop a strong character. He will slowly and gradually evolve as a human being. When you learn under the guidance of a well-charactered mentor, you are able to distinguish between good and evil. You are in a position to see beyond short term goals. Loyalty, reliability and trustworthiness are virtues you will possess. Such virtues will help you gain great and rewarding jobs in reputed organisations. People often tend to take childhood and adolescence lightly but the lessons learned at these growing ages decide what kind of person you will grow up to be. A right mentor at the right age can completely change your child’s life. So make sure your young son has a good mentor to look up to. Make sure that as a parent you are setting the right example for him to follow. People often tend to take childhood and adolescence lightly but the lessons learned at these growing ages decide what kind of person you will grow up to be. A right mentor at the right age can completely change your child’s life. So make sure your young son has a good mentor to look up to. Make sure that as a parent you are setting the right example for him to follow. Next articleHow to Promote Employee Well-Being in the Workplace?